21 Mar 2018, 4:11 p.m.
Gold prices fell sharply on Monday to a low of £932.03 per ounce as the government announced a Brexit deal with the EU was agreed in principal. Stirling rose by 1% in value, with confidence coming from the progress in talks and expectations of an interest rate rise coming from the Bank of England’s meeting this Thursday. The current lower price for gold is a stark contrast to the monthly high of £966.30 (a 3.2% drop from there presently) and the 2018 high of £980.84 (a 4.64% drop in value). Bar a brief blip on February 8th, the last time we saw drops in value like this were mid-December during the annual gold demand lull, and in mid-July 2017 around the time of the G20 Summit. 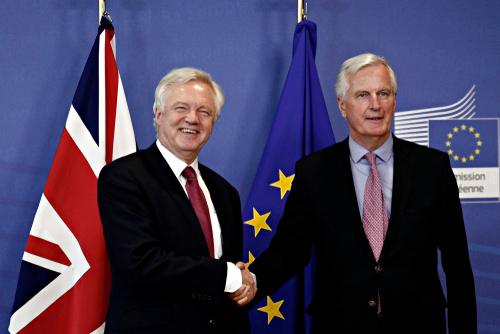 The Pound rose to over $1.40 for the first time since late February as a result of the provisional Brexit agreement, and recorded a five-week high against the Euro at 87.81p. The value has since fallen back slightly but the increased likelihood of a resolution regarding trade with Europe, worker rights, and the capacity to hire workers between the UK/EU has allayed fears (for now) resulting in a new wave of investor confidence in the Pound. A lot of Sterling’s strength in recent months has come from the Dollar’s weakness, but now the Pound’s trade weighted index is beginning to make gains comparable to before the EU Referendum results came out in June 2016. If we look at the chart below you can see the value of the Pound vs the Dollar and that too is closing in on the exchange rate value that we saw pre-referendum. With high levels of uncertainty remaining around what a final Brexit deal may look like, our view is that on balance the downside risks for the pound now outweigh the upside. This could prove a good time to top-up gold holdings to protect wealth against any future weakness in the pound as Brexit unfolds. An article in The Independent today echoes these sentiments. 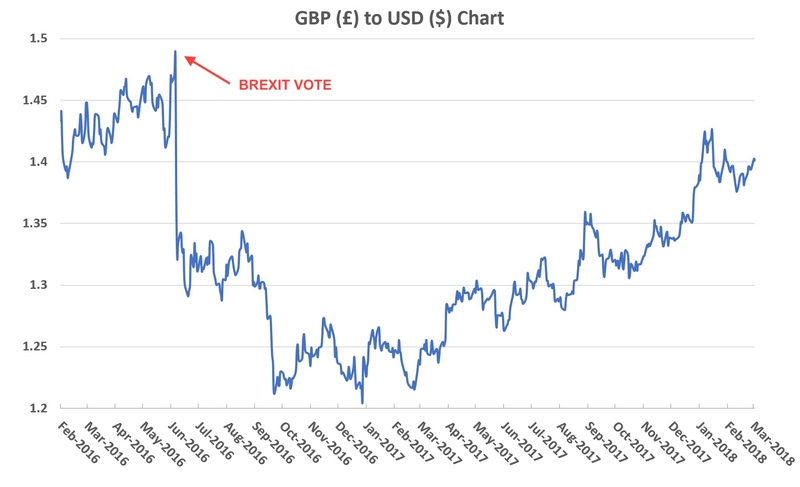 Nick Parsons, the chief writer for OXF (an Australian online foreign exchange company), described the Pound as "about as good as it gets" at a recent forum discussing Brexit and its impact on travel and currency exchange. Interest Rates: rising soon, but how soon? The Federal Reserve and the Bank of England are due to meet later today and tomorrow respectively, with bookmakers and market analysts giving high odds on the authorities finally announcing interest rate rises and dates these will occur. The last interest rate rise in the UK was in November last year, upping the rate by 0.25% to 0.5% overall. All the signs and hints from the Bank of England suggest the rate rise will be another 0.25%, and that this will keep happening in set periods until the UK interest rate hits 2% - expected around 2020. The continued progress of Brexit talks is key to the interest rate plan by the BoE however. If agreements happen then faith in the Pound remains, giving the Bank the confidence to push the UK economy harder. If the deal starts to stall again then investor caution may deter them from pressing for another interest rate rise. There are no guarantees this new-found confidence in the Pound will last long-term, and with the stock market boom starting to tail off it’s likely that in the mid-term we see investor interest slowly pull back from the markets and come back into bullion. The Dow Jones, as seen from the chart above, is currently down approximately 335.60 points (1.35%) at 24,610 points, which is 2000 points lower than this point in January. Part of the drop will be the $4 trillion loss across global stock markets as their rapid rise and inflation was corrected, but the graph suggests the peak point has passed and the trend is now downwards. With the value of the Pound up there’s now seemingly a window of opportunity to buy gold and silver while the price is lower. As we previously reported, the gold-silver ratio is the widest margin it has been for a decade suggesting that silver is undervalued, but now that gold has fallen too it’s only a matter of time before investors jump on the opportunity to get investment bullion at a good price, and their demand will drive prices back up.